The new GDPR regulations require you to be transparent and clear about what you do with any private information that you collect, store and process. So on that basis you are asked to tick a box to say that you have read the terms below and will not misuse this template. Once you’ve ticked the box, the big green button will be clickable. Make the changes, save it and it will be ready for use. You will need to add this page to your website menu, much like you would any other page. How do I customise a consent box for all my forms ? 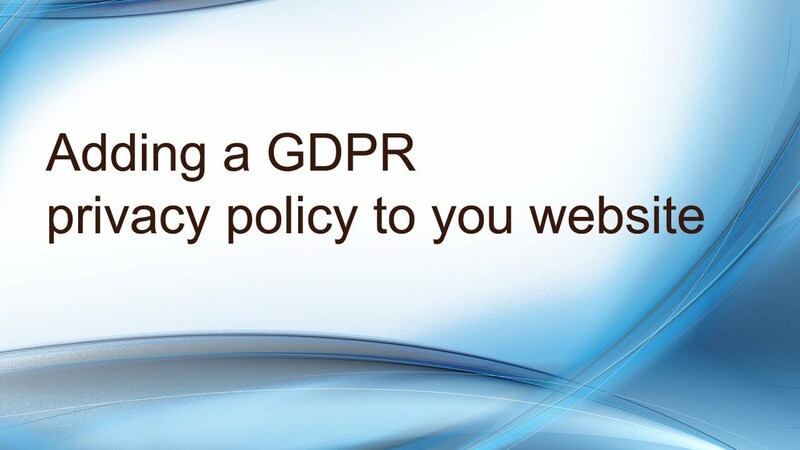 How to get mailing consent to comply with the new GDPR privacy regulations? Learn how to get explicit consent from all clients on your mailing list so that you can continue to generate mailing lists and send out marketing emails.